Actually I’m not a psychopath so don’t worry, but the chances are you do know a few and maybe even had a close relationships with one in the past. Crazy isn’t it? This may seem absurd to believe but psychopaths (and Sociopaths) fall under the banner of antisocial personality disorders and the estimate is that anywhere between 1% and 4% of the population have psychopathic traits. Yes this means that if you have at least a couple hundred Facebook friends, you could have up to 10 potential psychopaths on there. I can tell a few possible candidates have already popped up in your mind. Later in this article I will show you how we can learn from them and how they could actually inspire us to lead our lives differently. Ethically of course. Firstly I will go into a little detail about who they are and what to look out for. Imagine living your life without truly caring for anyone around you, feeling cold and distant and generally being indifferent to anything that comes your way. You go to work every day with the sole goal of doing your utmost to succeed no matter the consequence to anyone else. Manipulating those around you like puppets on a string and having a sense of accomplishment when your actions result in the failure of others. Life is a game and the purpose is to win at any cost. Not to say you wish harm on others, but collateral damage happens and it doesn’t affect you in the slightest. You understand what love is of course. You have seen it throughout your life and you know how to notice the signs and triggers, hence why you can fake it so well. Your best friends, your family, your partner all believe you are just like them because you wear your mask every day and you pride yourself on feeding their ignorance with your smiles and your charm. They sound lovely don’t they? The general belief is that Psychopaths are all serial killers and violent criminals and that couldn’t be further from the truth. Yes up to 30% of prison inmates are psychopaths but only a tiny percentage of psychopaths actually turn to a life of crime. Generally those who have below average intelligence, whereas the more intelligent kind tend to fall into more respectable employment. Calm and at ease with deception and lying. So from that list it is clear that they think differently from the rest of us so shouldn’t they be easy to spot? Well this is where psychopaths excel with their ability to blend in to their surroundings and literally become whoever they want to be. They are social chameleons, imposters if you will. Adapting to the kind of life that they want to be part of and doing whatever it takes to make that happen. Have you ever seen a cat bring in a mouse or a bird from outside and relentlessly toy with it and act as if they are truly enjoying what they are doing? The cat cannot conceive and entertain the thought that the mouse or bird is experiencing pain and terror. This doesn’t mean the cat is evil for it has no concept of what it is doing and is merely acting upon its natural instinct. I’m not saying psychopaths enjoy hurting or manipulating others (certainly not physically hurting them) but simply it feels totally natural as they lack the chemicals in the brain to create the emotions of empathy and guilt that we consider to be normal. If there is someone in your life right now who is manipulative, deceitful, unreliable and has a high sense of self-worth then you could be dealing with a psychopath. You will probably feel emotionally drained after spending time with this person and are frustrated with their behaviour. So how should you act around them? Should you cut them off completely? Is it worth the hassle? Knowing what to do is a tough call to make and but one thing you should always do is to stand your ground and not allow this person to wear you down mentally. A study was carried out where a group of psychopaths and a group of normal people were shown pictures of faces displaying certain emotions. In both types of brain the correct areas were stimulated yet the psychopaths still had trouble correctly identifying what these emotions were. Knowing this, can we modify our behaviour around these people to ensure we don’t give them the power? It seems logical that issuing an emotional response won’t have that much effect so maybe the best way to converse or to win an argument against a psychopath is to employ logic and give clear commands rather than using emotive words and expressions. This method could also work because we aren’t giving them the ammunition they thrive on. Of course the irony of this is that we have to change the way we act to manipulate them similar to the ways that they try to manipulate us. Yet our method is without deceit. I know that you think I am bonkers for suggesting that we can learn from a psychopath but actually, they have many desirable traits that a lot of us lack. For example, many have some form of addictive personality which enables them to become incredibly motivated when pursuing a goal or completing a task. They set their sights on something and generally fall into Terminator mode and will not stop until they have succeeded. Obviously this is a very desirable ability to have. Can you honestly say that you can shut off your distractions and focus 100% on your goals? Whether a psychopath or not, this is something that every person needs to do to become successful. Another aspect of what defines a psychopath is their ability to fake a persona and use superficial charm to worm their way into different relationships and social groups. Now I don’t suggest you follow this route, but when we meet new people it is good to know how to be able to demonstrate our best self. Sometimes when in a new situation or when meeting someone important for the first time, we can be nervous and feel intimidated which in turn causes us to act unnaturally and this suppresses our ordinary personality. 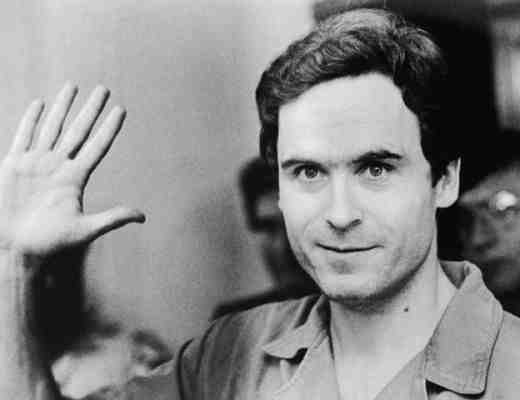 A psychopath doesn’t feel nervous around new people and neither should we. Deep down we are very similar and we all have our own fears and insecurities. In fact when meeting someone new almost everyone is too worried about how they are coming across to pay that much attention to you anyway. So embrace this thought and try to relax and allow your true self to come through. When you have genuine indifference to the consequences of your actions, you are totally free to do what you really want. A psychopath doesn’t worry about feeling embarrassed if they try something and fail. Nor do they feel guilty when something good happens to them unlike a lot of people who may feel like they don’t deserve the success they get. The lesson here is to try and not care about what others think of you. This is different from getting positive feedback when you are seeking out advice and help. I am instead talking about the occasions where you want to try something new but are worried about what your friends and family might say about it, such as a new hobby you wish to take up or a new hairstyle that you really want. I think most of us have hesitated upon doing something for the fear of what others may say. By doing this we are living the lives we think people want us to lead rather than taking life by the horns and doing what we truly desire. Happiness will always elude you if you neglect what you really want in favour of not looking stupid, which to be honest is unlikely to happen anyway. You can use this theory and use it throughout your life by taking something negative and putting a positive spin onto it. If someone you know tests your morals or is seducing you to do something you don’t think is necessary, then see how you can turn it around to achieve the same result but in a different, better way. Remember it isn’t so much about the action but more the intention behind it that counts. That’s a good way of learning from anything in the world! Indeed there are lessons to be learned from these ‘psychopaths’. Their want to do something like an obsession can be copied- in a softer way- but in what we call ‘passion’. That’s a good way of looking at it. Converting their obsession into your passion. This is quite a unique way of showing some characteristics we need for success. You wouldn’t normally see the word psychopath and think – I want to learn something from them, but you put a great spin on it! I do agree with Rob though, that passion seems to be the healthier word than obsession. Passion is indeed the positive flip side to obsession which can be thought of as being unhealthy. He ravaged me and washed the floor with my soul. Now, after a devastating period, I see him as a lesson. He was a mirror that showed me who I really am and that I can improve, but not change. I love him in a sense of accepting who he is and I have a strong compassion for him being damaged beyond repair. That’s why I choose to stay away. I realize he cannot hate me as much as I can love him and I can finally thank God for this experience.